How Do I Switch to Linux? - Ask Leo! How Do I Switch to Linux? Changing a Windows XP operating system to a Linux platform is not a simple upgrade or migration. It's more like starting over. Here are the basic steps. In a recent answer, you pointed out that once Microsoft really stops support for Windows XP, there will be an increased risk of vulnerabilities being exposed over time. For older laptops that may not be able to migrate to Windows 8 or later, you mentioned using Linux. However, you don’t mention the process of how to migrate a Windows platform with all of those Windows applications to some Linux platform. Could you discuss what to actually do? In that article, I mentioned that if you could not migrate to Windows 7 or 8, you might want to install Linux. That’s not a migration – it’s a replacement of the Windows operating system with a Linux operating system and starting over. While it’s typically not terribly difficult, switching to Linux isn’t always a simple or unfortunately even a consistent process, and it may not be for everyone. Let’s discuss the details. You want a complete backup of your existing machine, just in case things don’t work out. That way, you can return to Windows XP if things don’t work out, or potentially recover individual files things transfer over otherwise. Then, you’ll back up again, but this time, don’t use your Windows-based backup software. The problem is that it simply won’t work in Linux, and working in Linux is what you’d need to easily be able to recover individual files from the backups you take in Windows1. Instead, copy the data files that you’ll want to have on the new system – your documents, pictures, music, and whatever files you work on daily – to a USB stick or an external drive. Linux, Linux, which flavor of Linux? Linux has hundreds of distributions that you can install. Choosing the right one for you can be a bit overwhelming. Ubuntu and Linux Mint seem to be the most popular right now and they are well-supported by the community. Mint may be more familiar to you as it tends to conform to the Windows interface a little more, so you may consider choosing that. It sounds obvious, but I have to say it; your Windows programs won’t work on Linux. That means you’ll have to acquire versions for Linux, if they’re available, or find suitable replacements. Fortunately, many programs are already available. For instance, Firefox and Thunderbird often come pre-included in many of the Linux distributions. If that’s what you were using in Windows, then you’re good to go. You’ll have to set them up from scratch again, but they’re the same programs that you’ve been used to running until now. If something is not available on Linux, there may be an alternative. For instance, Microsoft Office isn’t available for Linux, but you could switch to Libre Office, which is available on Windows, Mac, and Linux. The suite is also included in many Linux distributions. Once you install Linux and the programs that you want, you can copy your data files back to your machine. Use the Copy commands that are appropriate for the version of Linux you are running. You can typically also drag-and-drop files using the file manager that usually comes with Linux, much as you did with Windows. Now comes the important part. You need to become accustomed to using Linux. Linux is similar to Windows, but you will definitely notice differences. I’d say that the level of adjustment is similar to the switch from Mac to PC, and probably greater than switching between any versions of Windows. The concepts are all the same. You’ll still access files in folders using a type of file browser, there are menus and applications and browsers and the like. The difference, like the devil, is in the details. Like most users, you’ll stumble on some nuances that remind you that you’re on a different operating system. For instance, while you typed Alt-F4 to close a program in Windows, you’ll type Ctrl-Q in Linux. The close box might be on the left instead of the right. Those are some of the kinds of things that you’ll need to become accustomed to over time. If you need help, there are many community support forums. If you choose Ubuntu or Mint, you’ll find many friendly people in these forums because they want to learn more and share what they know. Keep in mind that you are switching operating systems. This is a major change and it involves more time, adjustment, and patience than migrating or upgrading Windows. The version of Linux that you choose depends on you, your machine, your needs, and your choices. But if the decision is right for you, you’ll find a new way of doing things in Linux. How do I get printer drivers for Linux? - Printer drivers are not always made for Linux distributions. But there are a few alternate roads you may go down to use your printer. Should I convert to Linux? - Linux is often a viable alternative to extend the life of older machines. We'll look at some of the issues involved if you convert to Linux. Can a flash drive that has a Linux install on it become infected? - Depending on the format of the drive, how the malware finds you, and how you access Windows, you may or may not have a problem! Does that sound vague enough for you? 1: To be clear, it’s still possible to recover files from those Windows-based backups, it just gets difficult once you’re no longer actually running Windows. Typically it involves using a different machine that is running Windows, or rebooting your machine using that backup software’s rescue media. « Previous post: Why did my pictures disappear? I actually switched to linux back in 2010 after Leo showed how to use Linux to partition a hard drive. Since then I have learned so much more about computers and how they work. I have learned that if you just want to be compatible with everyone else, then Linux isn’t for you. However, if you are willing to experiment, make a few mistakes, and learn along the way, then Linux can be a lot of fun. The best way, in my mind, to start using Linux is by using a live CD. This allows you to run linux from your CD/DVD player. This isn’t a long term solution by any means but it is a very good way to get familiar with the operating system and does not require any change to your system due to the minor league problems with using it (no updates, you have to use completely out of the box versions of software (i.e. no extensions or themes in Firefox) and some fairly simple things become slightly more complex (i.e. you have to save docs to the hard drive rather then the OS’s “Document” folder). However, it is a very good way to become comfortable with Linux while not having any impact on your current computer. So I have been a user of ‘Linux’ for a couple years now. The CTRL+Q thing was completely new for me. As far as all the usage I did, ALT+F4 worked just fine, I’ll have to try and remember that. Another thing to note is that CTRL+ALT+DELETE does not work in any Linux version that I know of. A good way of stopping an unresponsive program in Linux is to do ALT+F2>”xkill” and then click the program that is frozen. I wish there was an “Ask Leo” for Linux. Am anxiously awaiting the Ubuntu Phone that will run Linux desktop programs and then also act as your desktop computer. I just ordered a Metallurgical Microscope with a 10MP camera for QA in my shop. I will be dedicating an old XP computer to it that will be converted to Linux. Thanks for pointing out Mint. I think I will give it a try and hope it is a little easier than Ubuntu. What would happen if you installed XP and all your Windows software into a virtual machine running on a Linux operating system? 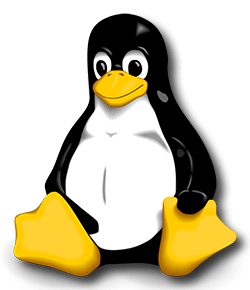 Would you get the best of both worlds – Linux give you greater security than continuing to run XP, but still being able to run Windows software? And hasn’t anyone created a Windows emulator that would let you run your Windows software on Linux? I would think something like that would make it easier for people to convert to Linux. There is a Linux program called WINE which will let you run some Windows programs, including some versions of Microsoft Office. Some is the operative word! In Windows, Desktop and desktop are the same place — but they are not the same in Linux. One of the little things which trips up new Linux users. +1 for Mint if you are coming from XP. My main problem with Linux Ubuntu *was* that the available file managers are not as good as what is offered (by third parties) for Windows. This makes a lot of difference in productivity. My main problem with Linux Ubuntu *is* that the most recent upgrade surprised me with a tiled desktop, Windows 8 style. Gone are all the menus. The whole user interface is different. They copied the latest fashion and dumped functionality and continuity in the bin. So now I only use my Ubuntu webbook for making Skype calls, as Skype under Linux still has a very simple interface, that does not push you to log in to whatever MS are promoting and does not urge you to continually upgrade. Just great! I too would welcome a “Leo’s Answers” for Linux!! There are many versions of Linux. If you don’t like Ubuntu, you can find one which better suits your needs. Leo, for example, also suggested Mint. They all ultimately perform the same functions. The main differences are the user interface and the programs which come preinstalled with the distribution. Ubuntu, itself, can be downloaded with different interfaces such as the KDE interface in its Kubuntu distribution. And further, you can even change the user interface in Linux. Google “change user interface ubuntu” and you’ll find a lot of information on how to do this. Since you’ve already gotten your feet wet with Ubuntu, you might be ready to try out installing a new interface. Not really. This boils down to taste. I happen to use Cinnamon, but if you have the time, try each of them to see which one is most comfortable for you. I decided to try Ubuntu first and I wish I had read your article, “What are ISO files, and how do I open them?” sooner–it took me a while to figure out why my “live CD” wasn’t working–I didn’t understand that I needed special burning software. I saw you recommended ImgBrn, so I installed that and I think I’m good to go. Hopefully I’ll have time to make a decision before the end-of-support for XP! oh, and thanks for the response and all the helpful articles. I’ve been using it for about 3 years now (since ver 3), and not looking back! It’s billed as “the distro of choice for users making the transition to Linux from Windows,” and I have to agree, it was an easy transition. You can choose your interface to emulate whichever version of Windows you like, or choose Gnome or KDE. very helpful although they generally don’t like comments that are critical to ubuntu. Thank you for the approach to going to Linux. I guess that my concern is with all the “good programs” that may very well NOT work on Linux. Examples include: Turbo Tax, Dagesh Platinum (a Hebrew English bilingual Word Processor) (as well as the files that Dagesh has produced), etc. In other words, even if I successfully migrate using the steps outlined above, I am concerned that I will have a LOT of unpleasant stuff to do trying to (e.g.,) get to my Taxes…. This is something that is not really addressed (all that I recall are the comments about the BROWSERS and [English] Word Processing packages [note you could have also mentioned Lotus Symphony which is available free of charge] but no mention of APPLICATIONS)…. I have to wonder if Microsoft will have some sort of “Windows 8 Lite” for those whose hardware / RAM can not “move” up to the current OS products…. Well, to be fair, browsers and office suites are applications. But yes, you raise what is perhaps the biggest impediment for some people to give Linux a try: the lack of availability of the specific applications that they care about. Obviously there are thousands, and I couldn’t possibly list them all here. be the “Turbo Tax” of Linux (and able to access / process the existing Turbo Tax Files), the “Dagesh Platinum” of Linux, etc. etc. would be a HUGE help…. Right now, I am really not sure WHERE to being to look for “replacement” software…. I don’t know if this is a viable option for you, but TurboTax has an online version which works with your browser. That should work with any browser on any OS. As for Dagesh, a couple of major problems with switching from Windows are proprietary software and drivers. One possible solution is WINE (WINdows Emulator or Windows Is Not an Emulator) which runs many Windows programs under Linux. It doesn’t work for every program, but it might be worth a try. In the recent past, I have tried the switch to Linux and spent the best part of a year learning and experimenting with various distro’s, including all the ubuntu variants. I have found that is not the case. that drives Linux probably assures that it will never be more than an ‘also ran’. I began using Ubuntu in the spring of 2009 when the “Wubi” project was being pushed. More powerful than a virtual machine, had it’s own boot selection added to the menu, yet it was a program installed in Windows (XP at the time, in my case). It was OK, but there were issues also. Anyway, I finally installed Ubuntu as a dual boot & it was great! On a Dell Latitude D610 (that as I recall, Leo had one at the time) with 2GB DDR2 RAM, it outperformed XP SP3. Later on, I discovered Linux Mint 7 (Gloria) & have been a Mint user since, it’s the only OS that I use for transactions. Today, Mint is a better option for XP users than Ubuntu, mainly due to a familiar Start Menu. I state this because around the time that Windows 8 was released, Canonical (the distributors of Ubuntu) decided to make drastic changes in the GUI. Essentially making things as hard to get to as Windows 8, except for a few basics. Today, Linux Mint users almost doubles that of Ubuntu & had pulled ahead by the end of 2011. 5 years old & last to first! I use the “Mate” version, but that my preference. For those with older computers that doesn’t have PAE support, Mint 13 is the latest “Full” Linux distro that will run on the hardware. However, Mint 13 is supported until April 2017, that’s 3 extra years over & above XP. Though I do use Windows Vista, 7 & 8.1 (7 mostly of Windows), I use Mint 16 more & in late May 2014 will come a new LTS (5 year support) of Mint 17. Linux Mint is a very worthy OS & can run well on modest hardware. Did I mention that one gets a 100% Free almost drop in replacement for MS Office in Libre Office? I use an app called clonezilla, runs from cdrom, for doing all of my backups and restores. Works independently of operating system since it operates on partitions. As a retired software engineer after a 30 year career, I’ve tried every linux distro that there is. I settled on Debian linux stable version. The main reason is it’s fast and doesn’t have the quirks, gotchas, and other failures that all of the others are full of. I was really getting “fed up” with the whole XP security issue and Microsoft pushing people to upgrade to a higher version of Windows. Some 20 years ago I experienced the power of Unix on a “wide lan” company network in full transition away from older operating systems. At home I only had a Commodore PC and a single built in floppydrive (no money for an optional external floppy station). Using the Commodore I taught myself DOS – IMHO Microsooft made a big mistake by gradually scrapping DOS. On the job I (and a collegue) learned how to use different editors to create small, fast and efficient office applications. Looking back I learned more from this combined experience than I have learned from programming courses. ii. you are very technical, don’t mind failure and have *LOTS and LOTS* of time on your hands. In the past I’ve tried Mint, Ubuntu, Red Hat and fuduntu. The only distro that i only ever sort of got working was fuduntu (on an eeepc) but of course as soon as that happened distro support was abruptly ended. I’m a pretty technical person in the windows world and administer web\email servers so there is something to be said about me needing more patience going from a position of knowledge to a newbie, but despite having the best will in the world and keeping an open mind I just found that the little documentation\KBs to be found poorly written and maintained. I also found Linux forums often abrasive and just rude if you ask what they consider a dumb question. Since support for XP ended, I’ve been using Linux Mint (16, Cinnamon, 32 bit) on a live CD (on my 10 yr. old computer). I still boot to Windows XP a couple of times a month for certain tasks, but I’m surprised how long I’ve been able to get by with Linux because I don’t understand even how to download something with it ( I haven’t found users in Linux forums particulary rude as William has, but for me, many posts do lack basic explanation). BUT JUST RECENTLY, I’ve NOT been able to watch videos (with default Firefox browser) because I get the message “Activate Adobe Flash. This plugin is vulnerable…Check for updates.” I’ve tried searching for help on this topic, but I can’t make sense of it. Anyone have a suggestion, or is it useless to try to install updates with a live CD (and Mozilla Firefox for Linux Mint mint 1.0) ? It could be just because I haven’t commited to installing Linux, but my good times with Linux AND avoiding an upgrade may be over. For those having problems with video and other media a good choice would be VLC Media Player. It is available for Linux as well as Windows, iOS and android. Here is my suggestion for the Windows vs Linux conundrum: USE BOTH. You don’t have to use one or the other. Have a duel boot machine. The easiest way to install Linux is alongside Windows (assuming you have 60+ gig space available on your drive). You don’t have to do any partitioning yourself. Its all done for you by the install disk. I recommend Mint. Its Windows like and has more drivers for your equipment than smaller distributions. Do all your web based work with the Firefox browser which comes with mint. You will have the same Web experience; but you will be safe from Windows specific malware which doesn’t run on Linux. When you want to use a Windows program that resides on your machine boot into Windows. Don’t do anything on the Internet from Windows unless you have to. How to get Mint? Go to Distrowatch. Download Mint. Burn the download to disk as an ISO (that makes it bootable). Boot from the CD. It will load in ram as a demo live CD. After using the demo if you want to install it click the install icon.